AMMONNEWS - Minister of Foreign Affairs and Expatriates, Ayman Safadi, will represent Jordan at the Ministerial Conference on "Promoting the Future of Peace and Security in the Middle East", which will be hosted by the Polish capital of Warsaw, upon a co-invitation from US Secretary of State, Mike Pompeo, and Polish Foreign Minister, Jacek Czaputowicz, and in the presence of 70 countries' representatives. 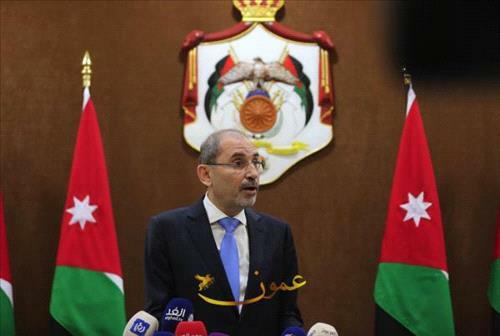 In a Twitter tweet on Wednesday, Safadi said his participation in the "Promoting the Future of Peace and Security in the Middle East" Conference in Warsaw comes to confirm Jordan's firm position that there is no comprehensive peace without meeting the right of the Palestinian people to freedom and a state with Jerusalem as its capital on June 4, 1967 borders in accordance with the two-state solution". "There is no greater danger to the security of the region than the continuation of the occupation and the absence of prospects for its end," Safadi warned.